This week started out a bit slowly but I finally got back into the swing of comic things and ended up finishing plenty more comics! I travelled to outer space, Japan, France (in the far off future), Vietnam (past and present) and Lebanon this past week. Just one week left! Gaah! How does one begin to describe Saga? It’s a love story, a story about family and relationships and overcoming adversity, a story about struggle, about intergalactic love. It also has a lie-detector cat, assassins, a tree-spaceship, a little girl ghost, magic, android elites, and all kinds of bizarro goodness. It is weird and it is wonderful. This is the third volume so well, you know, don’t start with this one, begin at the beginning! While I am into weird and wonderful (see above), this weird book may have gone over my head a little. Either that or it just doesn’t translate very well. Originally written in French, Glacial Period has such a promising premise – it is many years later and explorers somehow stumble upon the Louvre, buried under years of snow, hence Glacial Period. They wander among the artworks, speculating about the lives and culture of the people before them – were they non-literate? What’s with the angels? That kind of thing. Interesting idea that is not entirely carried out as well as one would hope. And they are accompanied by talking dogs (ok so at first I thought they were pigs) who have wonderful powers of smell. It just gets weirder when artifacts come to life. The best part of the book are those lovely talking dogs, especially Hulk. It also has this rather muted fuzzy style of drawing. To emphasize the cold, perhaps? I’m not entirely fond of it though. Tran, born in South Carolina in 1976, not long after his family fled Vietnam just three days before the fall of Saigon, explores his family’s past after a visit to Vietnam for his grandmother’s memorial. It is the first time he has met many of his relatives and he begins to piece together the story of his family’s past – emotional, moving, painful. And their struggle to survive, by whatever means necessary. Tran’s art is vibrant, bold, colourful, with different font styles used to differentiate the dialogue. The tiny cursive (see the bottom of the second picture) often trips me up though and requires rereading to figure it out. I am so not the target audience for this comic which is definitely meant for the teenaged reader. The drawing style was more sketchbook-like, it has a hand-made kind of feel to it, the words not exactly flowing and orderly. I suppose that’s how it must be like to have grown up in the Internet age. And I suppose my calling that the Internet age tells you that I am way past that. I remember dial-up! I once carried a pager! We had a dot-matrix printer! But back to the comic. It’s a relationship, friendship, love story between two schoolmates, one a girl, the other less certain of gender. Parents don’t really feature in this comic as they work the nightshift. So it’s pretty much a stay out late, hit the clubs, hookup with someone kind of story. But there is A and there is E and they are best friends, although one wants more than the other. It’s sweet sometimes, disturbing (at least for this parent) at others. This comic makes me want to throw something. Not the book or anything – especially since I was reading an e-comic on my tablet! But more of a hoo-ah! let’s throw some knives at this tree or shoot some arrows and kick some a**! 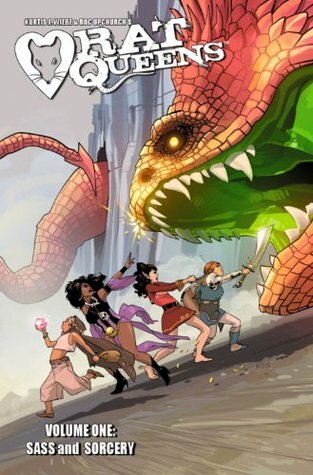 It’s a fun action-packed comic starring four, er, women. I say “er” because one is a dwarf and another is a Smidgen? and well they are female but not necessarily human. But it is a bout of rambunctious fun. Wow Lay sure is disciplined when it comes to eating. She’s one of this calorie counters, making notes about what she eats and all that. It made me want to eat more vegetables and that’s always a good thing. I’m not sure why I picked this up though. Curious I suppose. All the kids are so crafty! One makes lamps (which teenager makes lamps?? Or is that what teenagers do these days? ), another does puppetry, yet another is into cooking and baking (ok at least that one I can understand). The “Whit” referred to here is a big storm named Whitney. Will is Wilhelmina, who’s coming to terms with her parents’ death a year ago. It’s a sweet story with lovely drawings. So I thought that the first Tezuka I read was odd, this one is even odder and has less certain a plot, to be honest. It’s an exploration of relationships between men and women, by a young man whose life has been a troubled one, emotionally and mentally strained, and so he’s in a mental hospital, with a doctor hypnotizing him and some thing about androids and marathon running and being marooned on an island where animals co-exist peacefully. I am still trying to wrap my head around it. I am still rather intrigued by Tezuka’s work! And that’s what I managed last week! We’re heading into the final week of February! That’s quick! Now I’m off to devour more comics before the month is up! 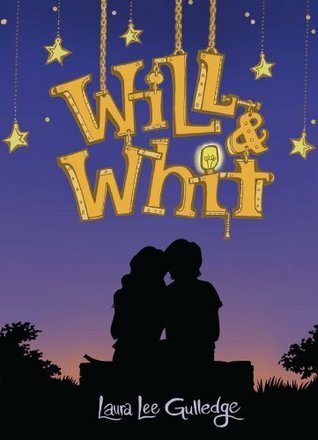 I just loved the art in Will and Whit. Hope I can read Paige by Paige (I think that’s the title), soon. Also, I’m behind on Saga by an issue and really need to hop to it. I miss those characters! I’m hoping to read Rat Queens this week. I’ve been behind on my grahic novel reading. I’m hoping to devote this week to graphic novels. I find it interesting when I realize that I am not fond of an illustrator’s stye and YET I seem to continue to read on and on. Sometimes it seems like the style simply “suits”, even if I wouldn’t appreciate it in any other context. Thoroughly enjoyed the variety of stories and styles you’ve discussed here. And, how did I miss that it’s comics month? !